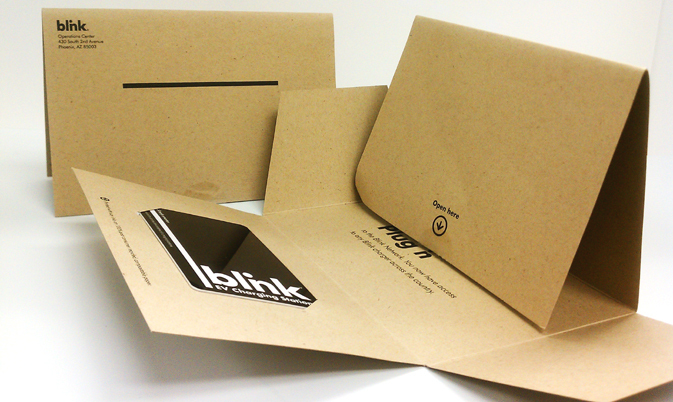 Creating printing projects with a sloped edge and tricky folder pockets is a real craft. There are some clever ways to turn a simple business folder into a show stopper. Most printers will often have capabilities for simple di-cut projects, like round cornered business cards. But, if your project calls for something a bit more complex, you’ll want to make certain that your printer has a solid reputation for handling what oft times is an expensive process. Printers, atleast most, don’t create the di-cuts in-house, but rather send these projects out to di-cutters they work closely with. 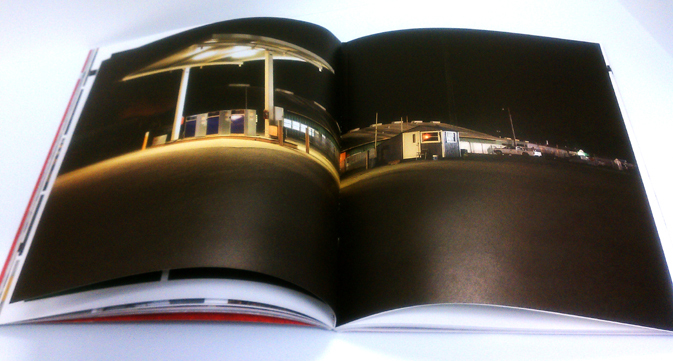 The above examples were all beautifully printed here at PrintingGreen / Bacchus Press. We have over 33 years of experience delivering Award Winning Printing. If you have a print job in the works but need some guidance don’t hesitate to drop us a line or submit a quote request for your more complex printing. 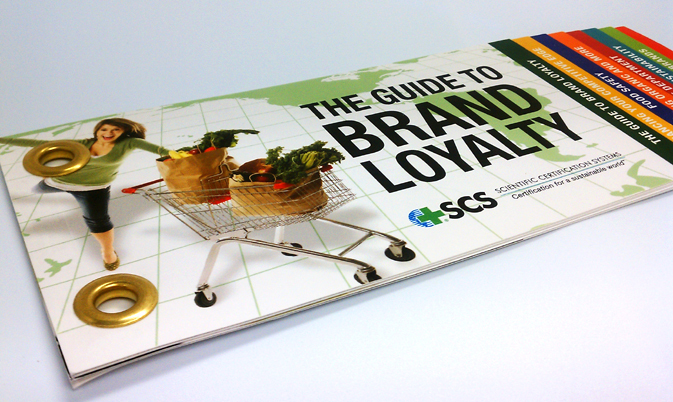 Most everyone has atleast seen a printing product, like a booklet, that has saddle stitch, wire-o, or perfect binding. What you may not be as familiar with are Chicago screws. Chicago screws are a non-permanent, albeit nearly impossible to remove, type of print binding. It’s a machine scew that is fastened in a single corner allowing your pages to “fan out”. Because the pages of your booklet do not lay flat when opened, it is reserved for a very specific type of presentation. An alternative to the Chicago screw are grommets. These are versatile metal rings also used for hanging Banners. 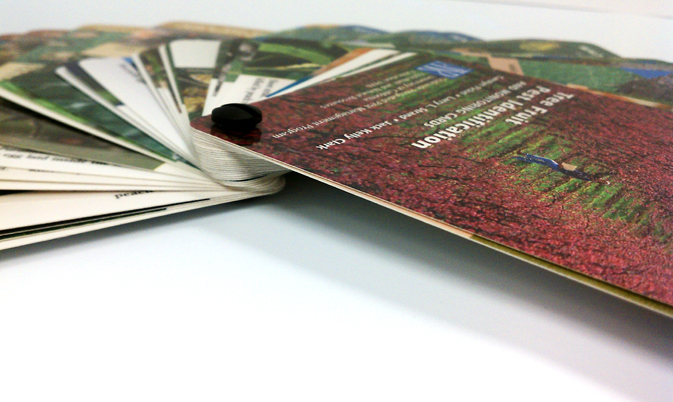 As a binding for your brochure, it less cumbersome. It’s somewhat unconventional and on the right printed piece it can be really eye catching. Because grommets are flatter than a Chicago screw, the pages can flip open rather than fan out. It’s useful for product like Calendars or other printed products that your end user is expected to hang. 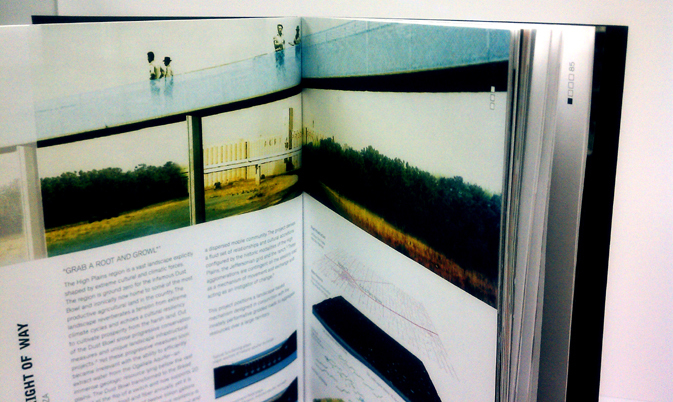 The above examples were all beautifully printed here at PrintingGreen / Bacchus Press. We have over 33 years of experience delivering Award Winning Printing. If you have a print job in the works but need some guidance don’t hesitate to drop us a line or submit a quote request for your more complex printing. 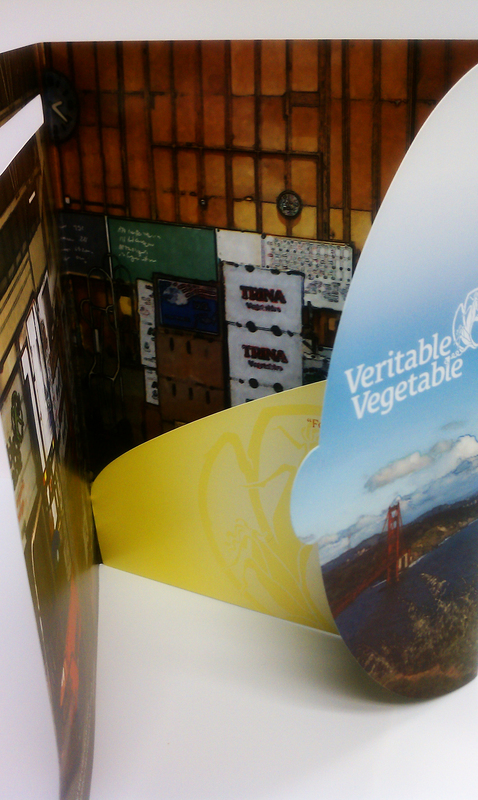 Unconventionally shaped wire-o catalogs and cleverly folded mailers are designed to turn heads. It can be a costly affair to produce complicated print projects, but if done right, you’ll reap the rewards.The mailer featured above is a very tricky shape for multiple reasons. It’s a tricky cut job for one, but assembly requires alot of manual work. A nicely printed and cut job can all be lost with sloppy folding and sealing. It’s such a clever design – one that received loads of attention. The wire-o book featured here is a fantastic example of unusual designs that pay off. The SF Museum and Historical Society produced the printed pieces for a fund raising event. No doubt it was one heck of a shin dig. The finished product presented beautifully and brought home the Gold for Bacchus Press in the Visual Media Alliance Showcase of Excellence. If you are planning on designing a with di-cutting involved, make sure you pick the right printer. Most likely the cuts won’t be done in-house but rather sent to a di-cutting company. But you’ll want a professional managing the job properly from beginning to end. The above examples were all beautifully printed here at PrintingGreen / Bacchus Press. We have over 33 years of experience delivering Award Winning Printing. If you have a print job in the works but need some guidance, don’t hesitate to drop us a line or submit a quote request for your more complex printing. 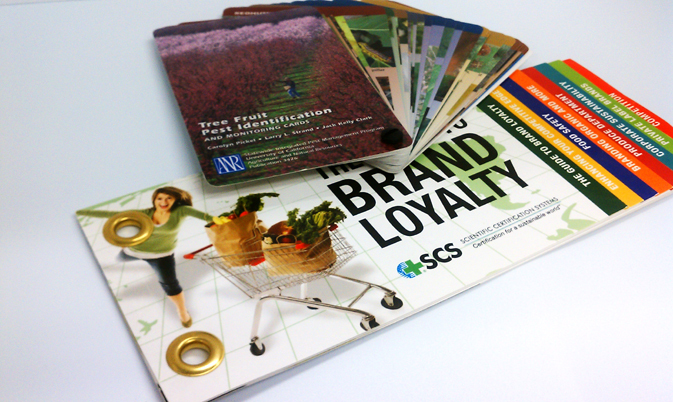 When you print with a Certified Green Printer, like Bacchus Press and PrintingGreen.com, ask for the FSC Certification or Green logo to be added to your Brochure. Let your readers know you care about preserving the health of the planet! First up, let’s take a look at the world of crossover. Crossover is a printing term that refers to an image that literally crosses or spans across two pages, also known as a gutter jump. Jumping a gutter is no simple trick- it takes a real master in printing to line up complex images across a gap and produce a seamless finish. This is especially tricky if your printed piece is a perfect bound catalog or booklet. Some binding options, like saddle stitch, allow a bit more wiggle room. Because these images span across two pages, lining them up is only part of the difficulty – keeping color consistency is another. There are no shortage of variables that can effect color consistency – everything you can imagine including the weather can alter the color of a single printing job. So attempting to keep the color of one image consistent when printing along multiple pages requires an adept and focused pressman. Paper thicknesses can vary slightly depending on the weight. Regardless, each page starting with the outside page and working in, will be farther away than the page preceding it. This too has its own wonderfully colorful term in printing. It’s known as creep. In order to compensate for the pages “creeping”, the margins or gutter of each page is increased. This moves the image or printed area the degree necessary to allow the images to line up. The above examples were all beautifully printed here at Bacchus Press. We have over 33 years of experience delivering Award Winning Printing. If you have a print job in the works but need some guidance, don’t hesitate to drop us a line or submit a quote request for your more complex printing. If you need a bit more assistance with your order, contact us here at Bacchus Press. We have a fantastic customer service department just waiting to assist you. 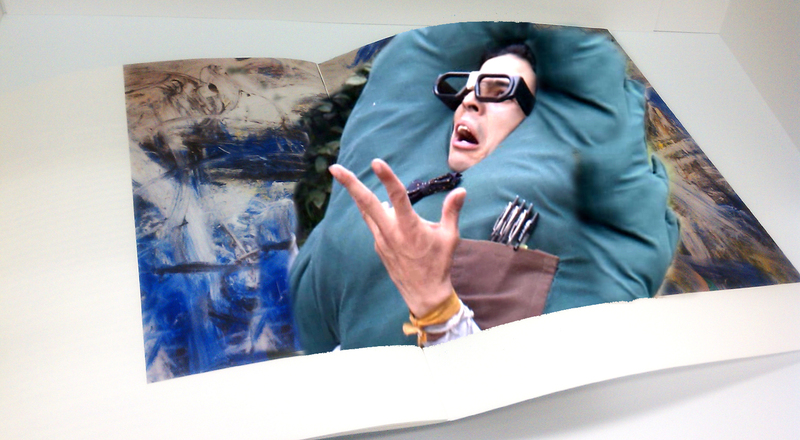 I certainly can’t promise that the following tips will keep your brochure out of the trash. No one can! But all your efforts in creating a successful marketing tool are less likely to go to waste if you keep your target audience in mind. Who are they and what do they want? What’s the problem they are facing and how will you come to the rescue? Consider your reader’s point of view and present your information in a logical order – what questions will they ask and in what order will they ask them. Deliver your product or service information in a succinct way, using short sentences and bullet points when possible. Keep your language accessible. Don’t use technical jargon, unless your audience will understand. 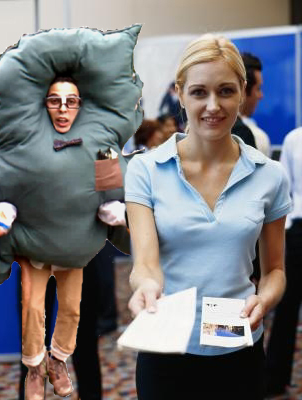 The cover of your Brochure should engage. This doesn’t mean be flashy. Include an image or graphics for visual appeal – one that will provide product or service recognition. Your Brochure should be able to stand out among your competitors, so be certain your cover lets the reader know what you are selling. 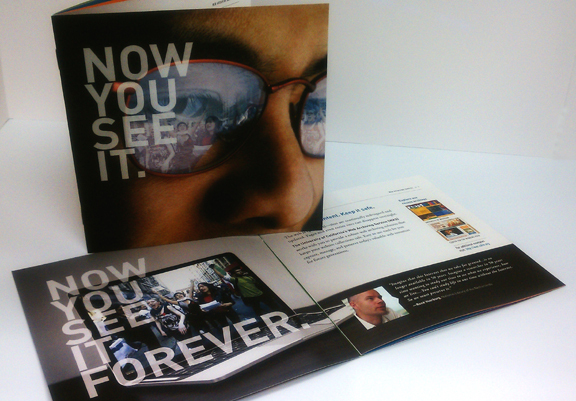 If your Brochure is strictly marketing a time limited promotion, tempt your reader with a blurb on the cover. But if you plan to use these Brochures throughout the year, avoid using dates. What are you selling and why they should care, should be at the forefront of your content. How will you solve their perceived problem? If you are selling Products, list what is important about the features and benefits. If you are selling a service, list the goals or promised return on investment. Design your content to speak to their needs. Don’t include details that have no value for the reader. Provide helpful information in your brochure – this will encourage the reader to keep it, refer to it often and share with their friends and colleagues. Offer a discount for new customers and referrals. The only limitation is your imagination, and, of course, your budget. Designing complicated Brochures can get quite costly. You can certainly create something cut in the shape of bottle, but be prepared to spend a chunk. If you are watching your budget, stick to the standard sizes and folds, of which there are many. Consider consulting a graphic designer – there are many considerations to producing a quality Brochure. Alternatively, seek a design student. Write your content as though you were speaking to a specific individual. Define who this person is and what problem are you solving for them. This exercise will assist in create a warm tone that feels personal for your reader. If your product enhances health or comfort, use language that draws your reader into that space. If your product is technology, use language that helps them envision their life better, simpler, more successful, and comfortable by enlisting your product and or service. Don’t forget, let your reader know where you are located even if you are not a brick and mortar storefront – even if you simply list City and State. Also include your web address, email, phone and hours of operation. Include Certifications, mention high profile clients or affiliations as well as client testimonials. Let’s all take a deep breath. Lower your pitch forks. No need to organize a mob or gather a few choice stones to hurl. I think we can all agree on one thing- that the invention and subsequent spread of the printing press are among the most influential, if not the single most influential, events in the second millennium AD, revolutionizing the way people conceive and describe the world they live in. In recent years, Printing has fallen in popularity as a form of communication. With Global Warming and the protection and sustainability of our planet and all her resources being one of the biggest issues we face, many have turned to the digital world for its speedy, chemical and paper free trail -though the electronic world has its own adverse impact on the health of our planet- hazards which are now becoming evident. As often is the case, that which holds our highest regard is susceptible to the proverbially fall from grace. But before we turn our backs on that which has aptly recorded our worlds’ history, diligently taught our children, provided endless hours of reading pleasure and cushioned the contents of our cardboard boxes marked fragile- crumpled wads of its Sunday best, systematically wedged between wine glasses and porcelain figurines- let’s take a moment to reflect. Stroll with me along memory lane, revisiting the birth of this incredible tool and uncovering the true identity of the 1st printed book in history. The printing press, invented in the Holy Roman Empire by the German Johannes Gutenberg around 1440, produced what some authorities have commonly cited as the first printed text –Gutenberg’s Bible. Whether one can say with conviction that this statement is indeed true may depend on whom you ask and what they consider the definition of printing to be. One may consider the transfer of any characters to paper, clay, fabric and other materials to be a process of printing – a system established thousands of years ago. Taking this position, woodblock printing would certainly make the list of the earliest forms of printing. Many nimble fingers worked arduously to hand carve wood blocks for every page of the Diamond Sutra – which is the oldest surviving example of a printed book containing a verifiable date – dating back to 868 CE. For those to whom wood block printing does not fulfill their definition, let’s keep trucking along. Obviously, the more common association to the term implies mass production, involving plates, blocks and moveable type used to transfer ink onto a surface at repetition. Movable type certainly cuts down on the sheer volume of work. With no need to whittle wooden pages, countless fingers are spared the painful affliction of blisters! All of these characters and letters can just be reused and rearranged for the next print. There is some evidence that the first movable type –which was ceramic–was invented in China by Bi Sheng around 1050 CE. Unfortunately there are no surviving texts, but it is very likely that the oldest printed books are Buddhist texts from the 11th century. It is thought that the ceramic type didn’t have a long shelf life and the Chinese returned to wood block printing as the primary method. So who brings home the gold? Korea. 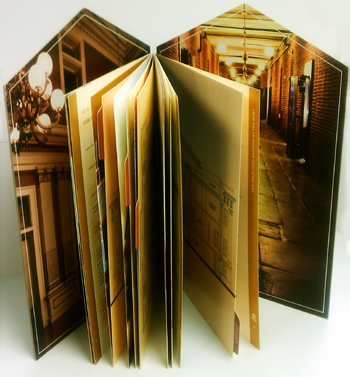 They can claim the distinguished honor of producing the very first movable metal print book. Printed in 1377, Jikji – a book of Zen Buddhist teachings- passed the finish line a whopping 78 years before Gutenberg’s Bible. The Jikji originally consisted of two volumes totaling 307 chapters. What remains, is safely stored at the National museum of Korea. In this modern age of speed and technology, take a moment to revisit your own relationship with the printed word and all the wonders and joys that this invention has brought into our lives. For me, the iPad just doesn’t compare to losing yourself in your favorite second hand book store, leisurely strolling along the isles of previously enjoyed gems -or the anticipation, building as you walk home, debating which of your newly acquired treasures you’ll dive into first. You curl up with your new paperback, settling into an oversized chair– a few pages in you begin to see the pages dog-eared and well creased from previous readers. You smile. This literary journey has been enjoyed and passed on for you to discover as will the next reader who pulls it from the shelf. Whether it be electronic or paper, remember that all choices have a cost and benefit. We at Bacchus Press will continue to work towards keeping the option of printing an eco-friendly choice – providing printing you can feel good about. Poetic and brilliant Carl – it is indeed part of our very nature to attempt to understand the world around us. The perception of color has stirred many a great mind. As a follow up to last week’s exploration of man’s creation and use of color, we shall now dive into man’s desire to comprehend the mechanics behind one of nature’s greatest gifts…color. Aristotle’s early studies of light and color yielded the discovery that by mixing two colors, a third is produced. He achieved this by placing a blue and yellow piece of glass one on top of the other, noticing that as light passed through, a third color green was produced. In 1666 Isaac Newton made a study of color resulting in the Newton Wheel, a tool devised to illustrate the relationships between primary, secondary and complimentary colors. This chart was conceived from his experiments with sunlight by noticing that white light divides into seven different colors when passing through a prism, an effect he coined as spectrum. Artists adapted this chart to what they knew empirically – modifying his diagram to create a color wheel consisting of the three primary colors- red, yellow and blue with the complimentary color opposite each. Because Newton did not understand the difference between additive and subtractive color mixing, his observations were argued to be inaccurate or incomplete. In 1775, a German printer by the name of Jakob Christoffel Le Blon solved many of the practical problems surrounding Newton’s chart. He invented a way of using three different printing plates to create a color picture. Each plate was inked with one of the primary colors, red, yellow or blue – occasionally adding black. Le Bon was the first person to clearly state that there is a difference between additive and subtractive colors. His method has become the basis for the tri colored printing we do today. In the 1920’s, working independently, John Guild and W. David Wright set out to determine how the average person perceives color. Two beams of light, containing the three primary colors, were cast on one side of a box while an observer was situated on the other. Looking through two holes, the observer was instructed to adjust the light of one beam until it matched the color of the other. They found that the same color could be created by many different combinations of red, green and blue lights. This property of color is called metamerism. Based on Wright’s and Guild’s work, the International Commission on Illumination or CIE set out to define color mathematically for the first time. The intent was to create a language for color which would accurately communicate each variation exactly. In 1931 the CIE color system came into being – using an abstract mathematical model to describe the way colors can be represented. The CIE color system became the international standard and is still used today. It is amazing the multitude of experiments, inquiries and discoveries which have lead up to the way man translates color. Our use of color, in an ever expanding range of medium, was first born out of prehistoric man’s motivation to convey the world around them with merely a chunk of dried earth applied to a cave wall. We have evolved well beyond the cave wall, and the color range far exceed that available to our ancestors. Achieving this range with precision requires skilled technicians when printing. When you are considering your next printed piece, look to Bacchus Press. We haven’t been around since the stone age…but we’ve got 31 years under our belts!